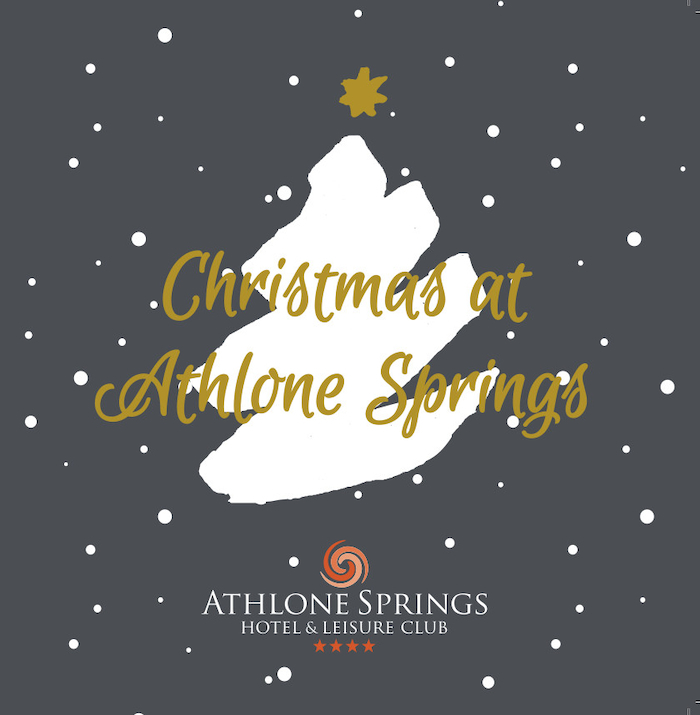 Athlone Springs Hotel is the place to party this festive season. Centrally located, with contemporary décor, good food and drink, and lots of Christmas cheer, the Athlone Springs will make your party stand out from the rest. Athlone Springs have a fabulous lineup of entertainment and seasonal cuisine planned for this holiday season. a fabulous 4-course meal. After dinner dance the night away until the early hours of the morning. with mulled wine on arrival and a sumptuous three-course meal. neck and shoulder & a leg and foot massage for €70.